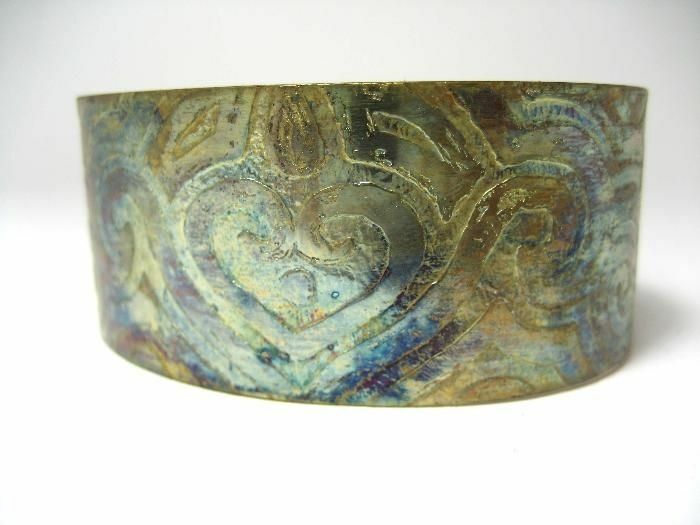 The design for this cuff was hand drawn onto the metal and then set into an acid bath. The acid eats away from around the design and gives it texture. Using my firing technique I gave it some fun colors. A type of sealant has been applied to the underside of the cuff so your skin will not turn green.